Remember when I discussed the damaging effects of some shampoos? Well, after that post my lovely friend Madeline got curious about her shampoo and graciously asked me to review it. She was using Body Time moisturizing shampoo, a brand that claims to be especially mild on hair. 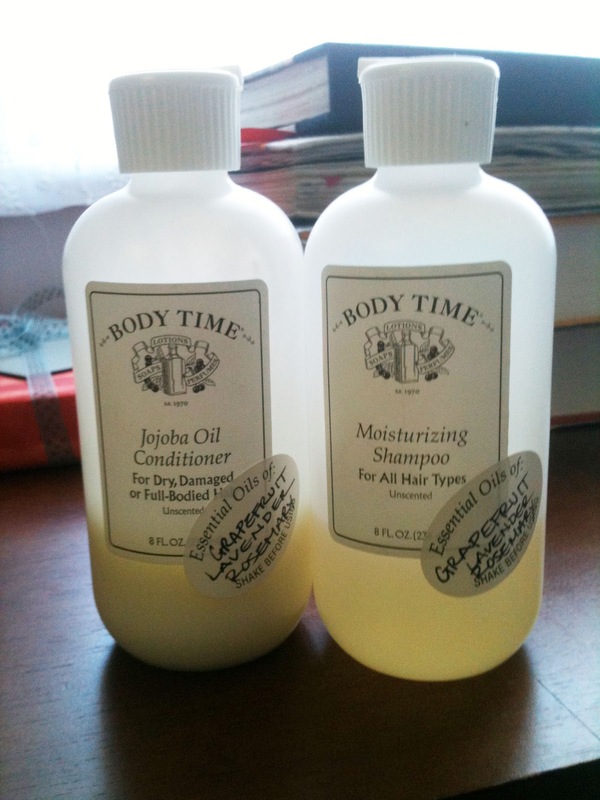 Body Time mixes its products in the USA, locally. They especially advocate bringing your bottles back to the store and refilling them. Both of these efforts reduce the company's impact on the environment, which we all can get behind. So let's take a look at the ingredients and see if they are similarly upstanding. The detergent used by this shampoo is sodium laureth sulfate, which we already know is harsh on your hair, a skin irritant and potential carcinogen. The second detergent they use is cocamidopropyl betaine, which is also harsh on hair and a skin irritant. The moisturizing shampoo also cotains cocamide DEA, which acts to thicken the shampoo and increase its sudsiness. However, cocamide DEA is a blood toxin, liver toxin, a kidney toxin, a neurotoxin, and a skin and organ system toxin. On a more positive note, I'm glad to see that this particular shampoo is scented with grapefruit, lavender and rosemary essential oils, instead of synthetic fragrance. So you might be wondering, what shampoo should you use? Stay tuned, I'll be reviewing a great suggestion soon! I recently purchased Yes to Carrots Nourishing Shampoo (http://www.yestocarrots.com/product/nourishing-shampoo?product_id=191007) -- I even scoped out the EWG database before doing so -- and I'd be curious to hear what you think about it since you know exactly what to look for. As for use I like it so far! I'm so glad you scoped out the EWG before shopping! By doing that, you definitely eliminated a lot of chemicals lurking in most shampoos. Checking out the ingredient list of Yes to Carrots Nourishing Shampoo, I see that it has two of the gentlest detergents: decyl glucoside and lauryl glucoside, which is awesome. However, lurking in the detergent list is also sodium coco-sulfate, a member of the sulfates family. Sodium coco-sulfate gets a 0 hazard score on EWG, but if you look carefully, that's because there currently is no data on this ingredient. This means it's a newer detergent. However, the only difference between sodium lauryl sulfate and sodium coco-sulfate is that instead of starting out with an isolated fatty acid from coconut, a blend of fatty acids from the coconut oil is used and reacted with sulfuric acid and sodium carbonate. Essentially, sodium coco-sulfate is a blend of several different sulfates, including sodium lauryl sulfate. This means it still exhibits the same characteristics like being a skin irritant and harsh on the hair follicle. You want to look for products that are only scented with essential oils and extracts (which this product does have some of!) but avoid the word "fragrance". It is an umbrella term that can contain up to dozens of unnamed chemicals. 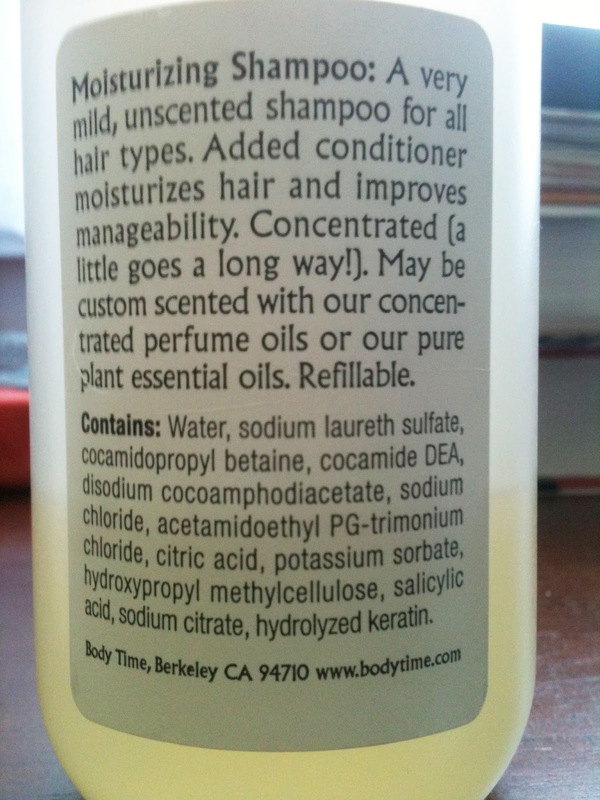 The last concern I have with this shampoo is sodium benzoate. Although I haven't discussed it here yet, sodium benzoate is a preservative that if combined with potassium benzoate, forms benzene, a known carcinogen. A study was done at the University of Sheffield that found that sodium benzoate by itself can damage and inactivate vital parts of DNA in a cell's mitochondria, leading to apoptosis (cell death). Don't worry though, I'll be giving some suggestions for some of the safest shampoos available really soon! 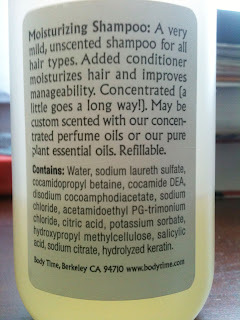 Haha, I can't *begin* to imagine whats in the rest of my hair products! I'd like to pretend this one is slightly better :) Plus, I think the brand name is adorable! Thanks for the review, and I'll be curious when you find the best safe shampoo! No problem! And don't worry, I'll recommend some great shampoos soon!